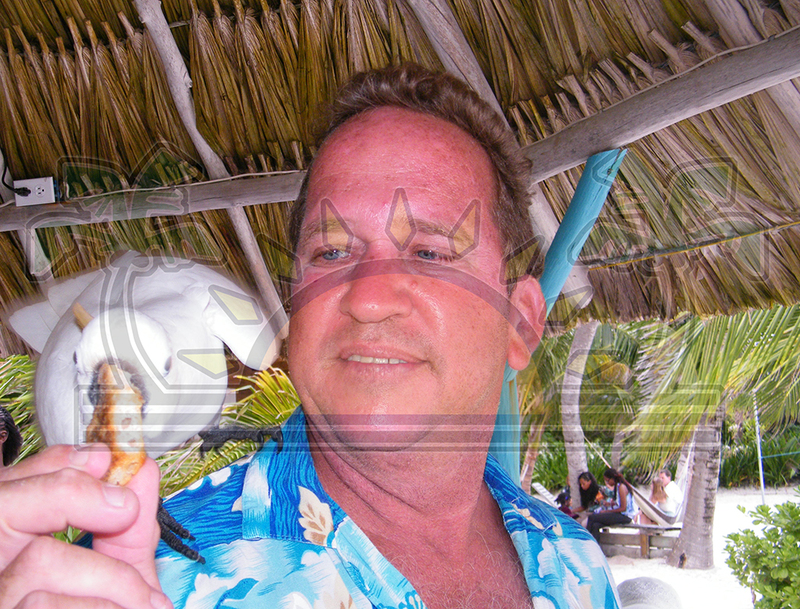 One year after US expatriate Gregory Faull was killed inside his Ambergris Caye home, the Belize Police Department remains without answers, and still seeks one man for questioning – cyber security anti-virus founder John McAfee. 52-year-old Faull was shot and killed inside his home north of San Pedro Town and was found dead on Sunday November 11th. His murder and investigation attracted media attention from all over the world. According to Belize police, McAfee “is still a person of interest” even after not much has changed in one year following the murder. The anti-virus pioneer became the main suspect since it is alleged that Faull may have poisoned McAfee’s four dogs a few days earlier. Faull had complained to the San Pedro Town Council that McAfee’s dogs were “vicious” and that it had become a problem to walk on the public beach in front of McAfee’s home without the dogs attacking him. Days before Faull was murdered, four of the dogs were discovered fighting for their lives after an apparent poisoning. They were shot by McAfee, who then had the carcasses buried. Two days later, Faull was discovered dead from a single gunshot behind his head on the second floor of his home located just two properties south of McAfee’s home on northern Ambergris Caye. Next to his body, police recovered a 9MM shell. 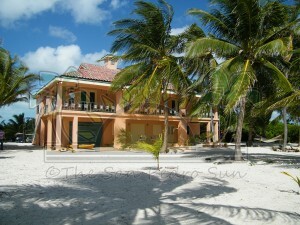 His home was intact – without any missing items – thus allowing police to dismiss robbery as the motive of the murder. But what has the investigation revealed so far? Well, no one knows and the police remain tight-lipped as to why questioning McAfee is key to their investigation. Police recovered several pieces of evidence from Faull’s home as part of the investigation, but authorities would not confirm or deny if they recovered chemicals which are believed to have been used to poison McAfee’s dogs. At the time, police told reporters that four of the dogs were exhumed and that the carcasses were being analyzed as part of the murder investigation. “It is an open case and it doesn’t matter how long it takes or if the case goes cold, it will remain an open investigation until we get McAfee to answer questions from our investigators,” said the Officer Commanding San Pedro Police Station Superintendent Luis Castellaños. In addition, when police visited and searched McAfee’s home as part of the investigation, they recovered several firearms not licensed to him along with illegal ammunition. Under normal circumstances, police would detain everyone inside the property at the time of the search, including the owner of the property as part of the investigation. Because firearm offences are serious, it is uncertain why a warrant for his arrest has not been issued to have McAfee arrested via Interpol. When questioned, police Press Officer Raphael Martinez would only say that he cannot comment on that matter since it is part of the police investigation. Meanwhile police are not saying much after one year following Faull’s death and family members are still demanding justice and want answers. “We often did a lot of stuff together, so it is a terrible loss. 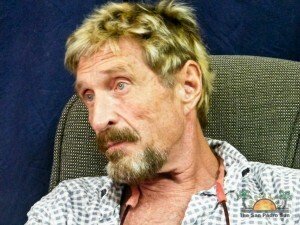 Why would he [McAfee] run? Why didn’t he just answer the questions? If he has nothing to hide why doesn’t he come forward and speak? It is very frustrating to find that he [McAfee] gets all the attention; why is my son a kind of prop for his infamy?” asked a distraught Arthur Faull, Gregory’s father as he spoke to Dateline’s David O’Shea. The Dateline program ran earlier this month, broadcasted via the Special Broadcasting Service Corporation based in Australia. Faull’s surviving daughter is now seeking damages in a U.S. federal court and has brought a law suit against McAfee and two others. The Orlando Sentinel Newspaper reported on Friday, November 8th, that Faull’s estate filed a suit in the Orlando Federal Court against John McAfee and two Belizean women. The suit is claiming that McAfee, "either directly or through his behest or by his agents," caused Faull's death. While the family has not made a media appearance, they issued a statement through a representing law firm. "While continuing to grieve, the Faull family intends to pursue all possible avenues to ensure the individual or individuals responsible for the death of Gregory Faull are brought to justice. They are confident that with the tools available in civil discovery cases in the U.S. Federal Courts and with the information obtained in the criminal investigation in Belize, the true facts will come to light as to how and by whom Gregory met his end. In this manner justice can be served in both the criminal court in Belize and the civil court in the U.S.," said the statement. According to the Orlando Sentinel dated November 12th , McAfee indicated that he has not been served with the lawsuit and will thus refrain from making comment on the matter. And while a law suit has been filed in the Orlando Federal Court, the public in Belize is asked to contribute any information that can help police in solving Gregory Faull’s murder by calling Crime Stoppers at 0-800-922-TIPS (8477). The calls are anonymous. Cause of Tyson Rodriguez's death in question; did police murder him?